Join The Curtain Jerks as they discuss the greatest professional wrestling matches of all time. In the final episode of our WrestleMania mini-season, we travel back to 1987. The town of Pontiac, Michigan hosted WrestleMania III. This “bigger! better! badder!” event is famously remembered for Hulk Hogan chokeslaming Andre the Giant in the main event. However we’re travelling a few rungs up the card for this episode’s match. We’re discussing a singles match for the WWF Intercontinental Championship but more importantly, one of the greatest professional wrestling matches of all time. Joining Chris & Fax to discuss is musician Jesse Krakow who released the record “Hulk Rules” in which he re-recorded the 1995 record of the same name by Hulk Hogan and The Wrestling Boot Band. We also get the final round of Producer Kent’s Most Famous Questions Ever. 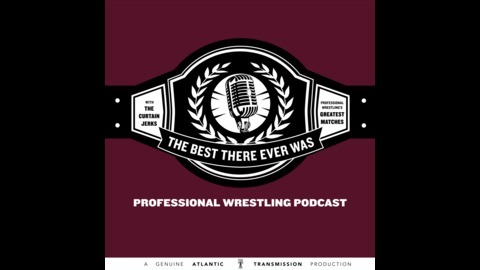 In Season VI of The Best There Ever Was we discuss the greatest WrestleMania matches.